We were asked to cover the final stage of the women’s tour cycling for the main sponsor Friends Life. It meant a trip over to Harwich in Essex for the start of stage 5 then a swift dash over to the finish in Bury St Edmunds in Suffolk. 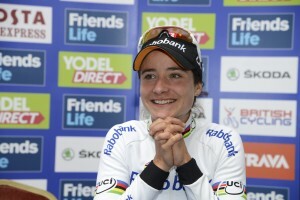 Olympic and world champion Marianne Vos won the stage & also the 5 stage Tour. 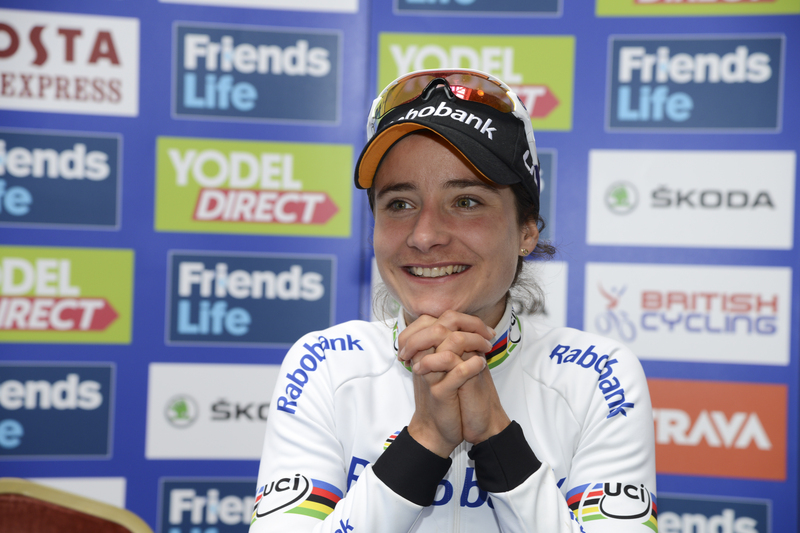 It was a dominant performance to win a hugely successful inaugural Women’s Tour of Britain. 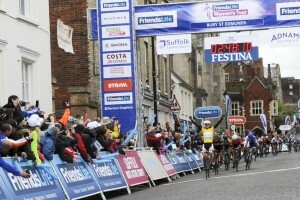 The Dutch rider claimed a third successive stage success on the fifth and final day to seal overall victory in front of large crowds in Bury St Edmunds. The Rabo-Liv rider, who claimed London 2012 Olympic gold ahead of Britain’s Lizzie Armitstead, won on the concluding 108km stage from Harwich – and with it 10 bonus seconds – to triumph overall by 30 seconds. “I have won many titles before, and some gold medals, but this women’s Tour is really special because it means so much to women’s cycling,” Vos said afterwards. Sharon Laws won the “Queen of the mountain” jersey, which is awarded for attaining points during designated ‘climb’ sections during each stage of the event. 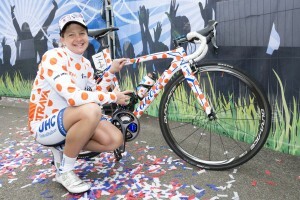 Her team surprised her on the final day by covering her bike in sticky dots to match her mountain jersey.